VoIPon Solutions had the pleasure of interviewing John Bennett, Managing Director of snom UK. Kathleen Reed from VoIPon spoke with John Bennet about the snom 300 and the snom 821 interoperable with Microsoft Lync, the snom 720, snom 760, and the snom 710 and what’s next on the snom road map. 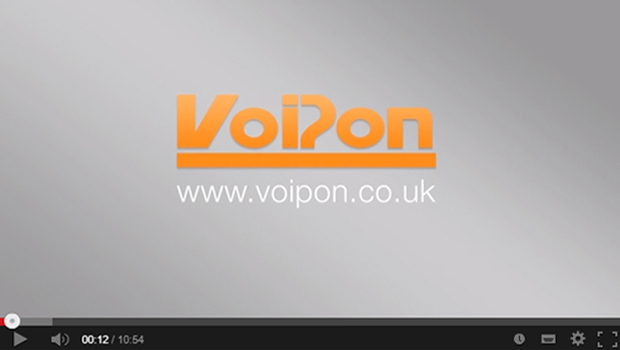 VoIPon: I’m Kathleen Reed, Joining us today is John Bennett, Managing Director at snom UK. We’re going to talk a little bit more about some of the more recent updates happening at snom. In 2011, the snom 300 and the snom 821 we’re the first VoIP phones to be officially tested and qualified as interoperable with Microsoft Lync. Recently, you’ve announced your new Apollo firmware has become certified for use by Lync as well. What does this mean for your market? John Bennett, Snom: It’s quite exciting for snom at this time. Our 3 series range and our 8 series range are currently going through what’s called qualification with Microsoft. For anyone out there who doesn’t know what this means: there is two Microsoft interoperable partners, one is qualified, one is optimized. The difference between those are, essentially, snom has the privilege of using their own hardware and their own firmware in conjunction with Microsoft Lync and OCSR 2. So an optimized device, let’s say, would be a third-party vendor’s plastic using Microsoft internals, so essentially it would be a Microsoft phone but with another vendor’s logo on the phone and their plastic. It’s quite a privileged position that we’re in, to be part of their program that has been named The Three PIPed Program: The Third Party Integration Program. What that basically means is that we can create our own phones for the future, so that if we do need to upgrade them, it is literally a flash of firmware onto the phone that allows you to then future proof your devices. What this means for us in the future, we can essentially upgrade any of the firmware on any of the snom voip phones in the 300 range, the snom 370 IP phone range, and the 821 range, so that you can then take advantage of the features of Microsoft for the next versions. So you could upgrade from OCSR 2 to Lync, and from Lync to Microsoft’s NET version, which will be released in 2013. So from a customer’s point of view, that’s fantastic. They can then save on having to buy a new device and if they need to take advantage of new features, they’re not tied down to an existing piece of hardware, if they choose snom. It’s very exciting for us, if we can then future proof the customer deployment; obviously, it’s going to be in the customer’s best interests. VoIPon: Okay, fantastic. Now let’s talk a little bit more about snom’s 7 series phones – the snom 720, the snom 760, and the snom 710. I hear they are now officially released. What can users expect when looking at these phones? John Bennett, Snom: Sure. Well, the 7 series is now live. We launched the 710 this year in September at our distribution event, so you can now readily catch the 710, 720 and 760, through many of our authorized distribution partners globally. The reason we’ve launched the 7 series is that we wanted to have an entry-level phone with a new look and feel – so after 3 series has been around for 8-9 years (for some of our phones now, since we’ve first put them out there). We’ve upgraded the phones from a technical point of view. The hardware looks and feels like a new type of phone, so it’s very similar to our 8 series, but they’re also packed and punching. We’ve upgraded the internals on the phone for a faster chipset. All phones come with HD voice handset, so you get high-performance audio quality. Also, those are due to be going into the Microsoft programs for qualification very, very soon – so you’ll be able to buy our 3 series, 7 series, and 8 series for Microsoft qualification. Hopefully, until the roadmap – it looks like end of November – you should be able to buy 7 series on that said platform. VoIPon: So what’s next on the roadmap for snom? John Bennett, Snom: We’re looking to work closely with Broadsoft partners. We are now Broadsoft certified for our phones to work on that platform, for certain versions, depending on which phone you choose, there is a firmware available that will allow you to work with Broadsoft. This was passed in September of this year and they’re now live and we’re looking to move forward with any Broadsoft hosted providers that are out there. There are hundreds of them globally. From a Lync point of view, the 7 series is in for qualification, so hopefully – very soon, we’ll have seven of our phones on the Microsoft third-party integration qualified program, which is great for us. And also, we’re looking to embrace closer our partners that we work with on the Open Standard SIP front. Any of our run rate businesses that we partner daily on our Snom Certified Engineer Program course, we’d like to embrace those guys, bring them in, train them and do our best to grow their businesses with them through the snom phones. VoIPon: Okay, great. Now that we’ve talked a little bit about your roadmap, where do you think the market, in general, is headed in your opinion? John Bennett, Snom: I think that the Lync market, from a global perspective, is quite a slow burner. It just takes time. A lot of these deployments are in the hundreds of thousands. We have projects now that have been open for 2-3 years. They do involve several thousand phones in even the smallest cases. From a market point of view, I think that Lync is going to be a huge growth point for us for the next 10 years. It seems to be getting some traction in the marketplace. We’ve got a lot of high-profile customers that are very involved – so that’s very exciting for us. I think that will open up very, very soon; it will become a point where a lot of these open projects will close. We’re focusing our attention to some very high-profile vendors that have got a nice footprint in the marketplace and have existing users that we can utilize and move over to Lync – so that will be one of our focal points. I think that the Broadsoft market is growing very, very quickly. We’ve seen a lot of take up now for customers, which is very, very exciting for us. I think that the market is forever growing. We’re showing profit gains this year between 20-30% so far, so that’s good news for us. Hopefully, we’ll continue to grow with our SCE partners, our Snom Certified Engineer Partners and we’ll embrace every avenue. VoIPon: I really want to thank you for your time today, John. It has been very informative. John Bennett is the Managing Director at snom UK, Ltd. This has been a VoIP Uncovered Podcast, brought to you by VoIPon Solutions. For more information, please visit www.voipon.co.uk. You can also compare the Snom voip phone range on VoIPon.